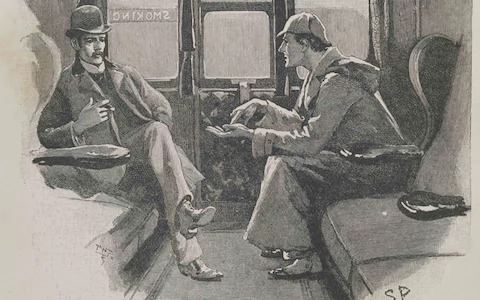 Sherlock Holmes, the most celebrated private investigator in all of literature, famously shunned all suggestion of supernatural agency (as he told his companion Dr John Watson on more than one occasion “when you have eliminated the impossible, whatever remains, however improbable, must be the truth”). Despite this, a surprising number of Sir Arthur Conan Doyle’s stories about the great detective start with strong hints that something uncanny is at work, most obviously The Sussex Vampire, The Devil’s Foot, The Creeping Man and, of course, The Hound of the Baskervilles. There is also the famous missing, though oft-mentioned by Holmes, adventure of The Giant Rat of Sumatra. 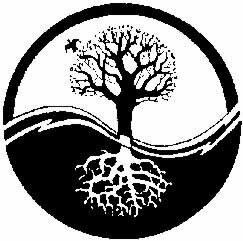 In the end, however, these seemingly supernatural accounts are always rationalised and we are left with the comforting knowledge that all can be explained, that there is no darkness too deep to be illuminated by the light of intellect and reason. Whilst this may the case with Doyle’s Sherlock Holmes stories, however, it was not the case with all of his short fiction. The fame of the great detective has, perhaps understandably, overshadowed much of Doyle’s other writing, in particular his contribution to supernatural fiction. Doyle had always been fascinated by ghosts, haunted houses, sepulchral voices, materialisations and mysterious lights and he turned this fascination into a number of short stories that featured scientific enquiry into the supernatural, especially the new cult of spiritualism. An example of this is Playing with Fire (click to read! ), which is the tale of a medium, Mrs Delamere, and something that she conjures up when a straightforward seance goes wrong. What begins as a light-hearted tale darkens considerably towards the end and perhaps reflects Doyle’s own convictions by containing a barely concealed warning about the dangers of meddling in a foolish, ignorant fashion with the perils of the unknown. If you enjoy this story then I’d recommend reading some of Doyle’s other tales of unease, such as The Ring of Thoth and Lot 249 (the archetypal mummy tales, which inspired both Universal and Hammer studios’ versions of The Mummy), the elegiac The Captain of the ‘Polestar’ and the terrifying The Nightmare Room. Going back to Sherlock Holmes, if the concept of the great detective confronting things outside the realm of human experience intrigues you, then I’d hugely recommend that you seek out the anthology Shadows Over Baker Street, in which Doyle’s most famous creation enters the nightmare world of H P Lovecraft. This splendid collection of stories by modern writers is well worth a read by fans of detective and horror fiction alike, if only for Neil Gaiman’s brilliant A Study in Emerald – perhaps the finest Holmes story not to be written by Sir Arthur Conan Doyle himself. Complimenting McKellan’s performance are Bill Condon’s direction and Cullen’s script from his own novel. Neither is wildly cinematic but both are examples of solid and thoughtful craftsmanship.